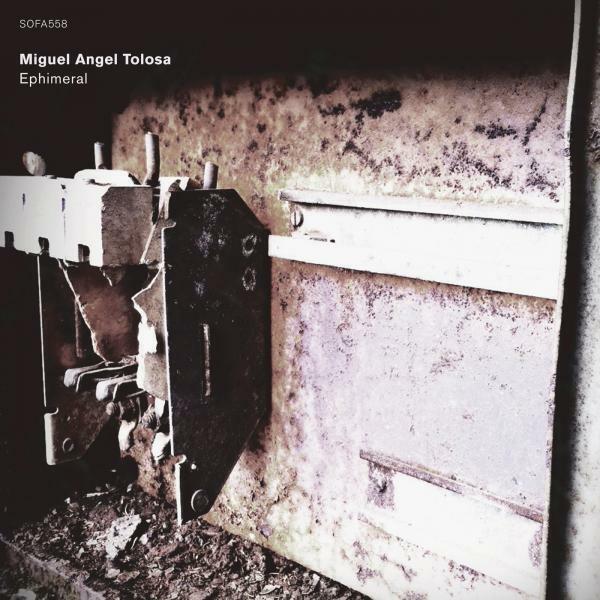 Very happy to hear Ephimeral (SOFA MUSIC SOFA558), a solo set by the Madrid composer Miguel Angel Tolosa, released on the Norwegian Sofa label. Tolosa has come our way once before, collaborating with the American John Hudak on the minimal conceptual piece Garten for Winds Measure Recordings, but the Spaniard also has a very respectable history supplying his technical production and engineering skills for numerous labels, projects, and artistes, including works by Asher, Celer, and TSP fave Miguel A. Garcia. The ten pieces on Ephimeral were realised in a variety of locales across Europe, including Düsseldorf, Bonn, and Madrid, plus he also used the EMS studios in Stockholm. One needs to spend more time in the company of this excellent record, but on today’s spin it’s obvious that Tolosa is a real heavyweight; the music is honest, beautiful, and filled with a rich emotional range. Further, it’s evident that he has major technical skills enabling him to realise and structure his ideas. There’s drama, threat, sadness, and mystery on this record, and more besides; despite the “abstract” surface of these textures and tones, what comes across is a far more human dimension, something bordering on a story. It is very refreshing to hear this very personal and heartfelt approach to composition, as opposed to a method that insists on its own technique and stresses the equipment or the processes. If anything, Tolosa is so adept that he’s able to cover his tracks in the studio; at times it is possible to forget you are listening to a recording, and instead are experiencing a slice of some other-worldly existence. If I am right, this means that his stated aims and intentions have been completely successful: “music is the experience of time through listening with an additional, subtle emotional element…music as time made audible, music as beauty made to sound.” Wonderful. From 20th March 2017.